Our wedding portfolio is extensive, original and always available for the bride to peruse. 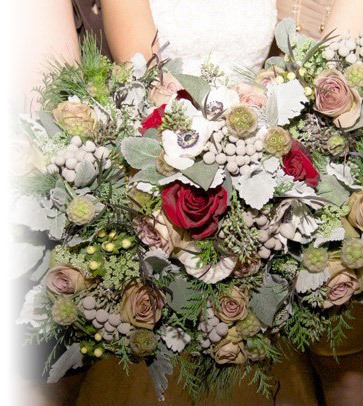 We design wedding flowers for all budgets and sizes ~ from the smaller, more intimate ceremonies to lavish galas! We have examples of beautiful bride and maid’s bouquets, cakes, corsages and boutonnieres, ceremony and reception décor and unique accessory ideas to individualize your wedding. Click on any of the categories on the left to see photo galleries of each. We feature on-line starting prices to give you an idea of your expected costs and meet with you for a complimentary first time consultation. We prefer to schedule an appointment for your consultation in order to give you our best service. If you choose to book us for your flowers, we send you an itemized estimate including all of your bridal flowers and costs. 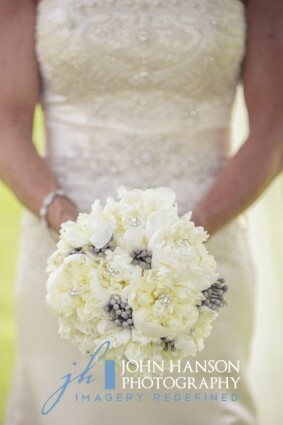 A $200.00 deposit secures your wedding date and all florals can change as your wedding needs may change. 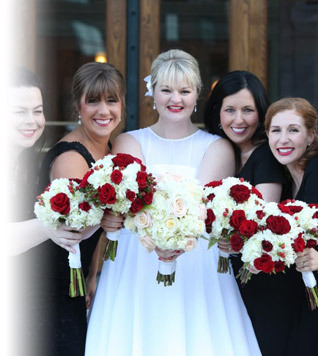 We feature some of the finest floral designs in the Twin Cities and would love to meet with you to discuss your wedding. Let our flowers bring you joy! Complimentary initial consultation and proposal. Let our flowers bring you joy!